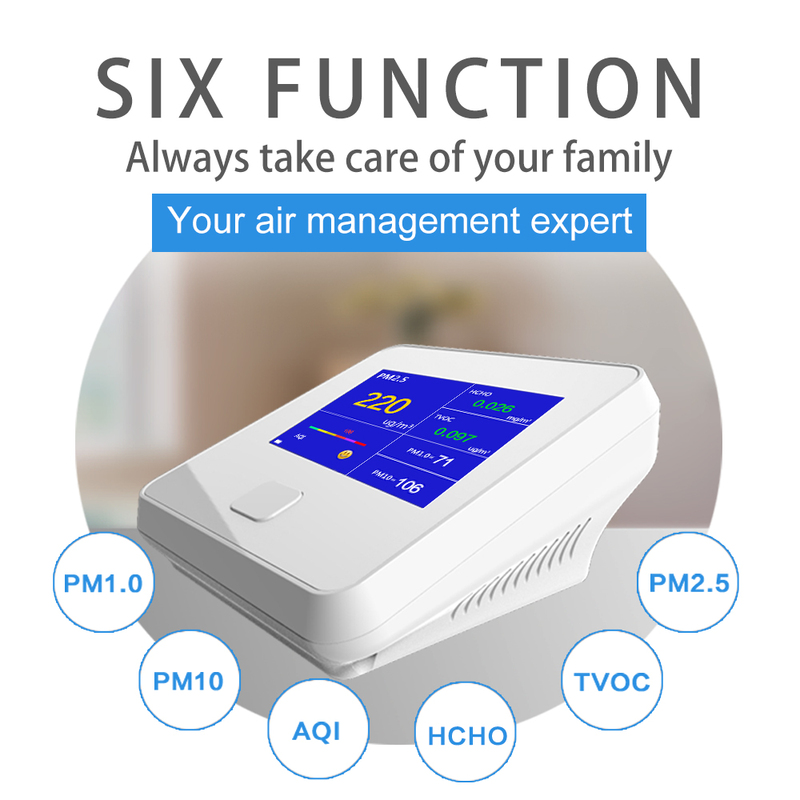 Thank you for choosing this product, it is a professional air quality monitor. 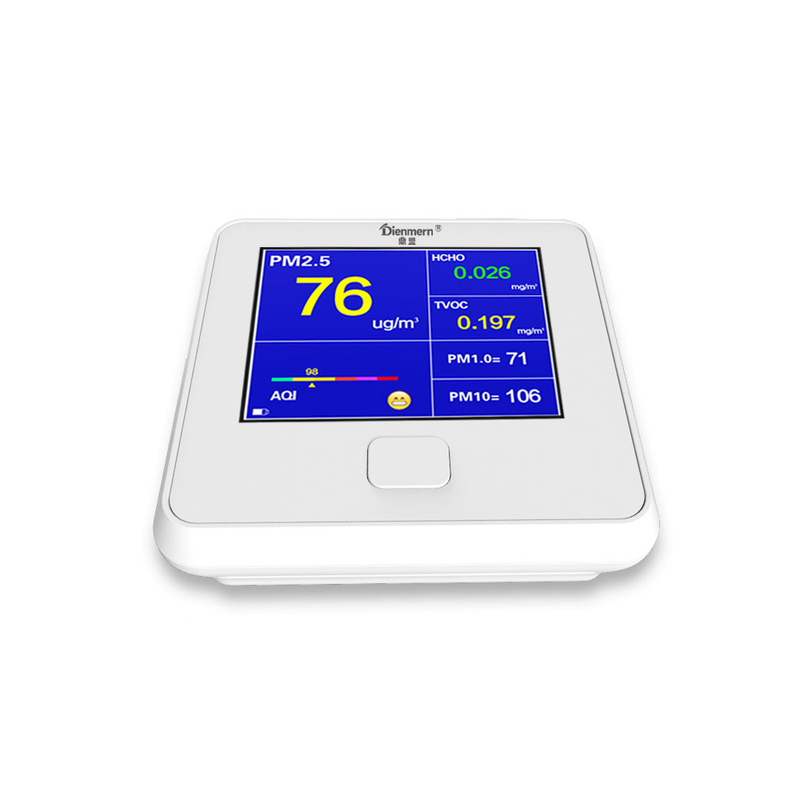 The pollutant index can be measured indoors and outdoor by the detector,giving you a healthy living environment. Air pollution, mainly from the haze, dust particles, smoke, car exhaust, second-hand smoke, soot, etc. 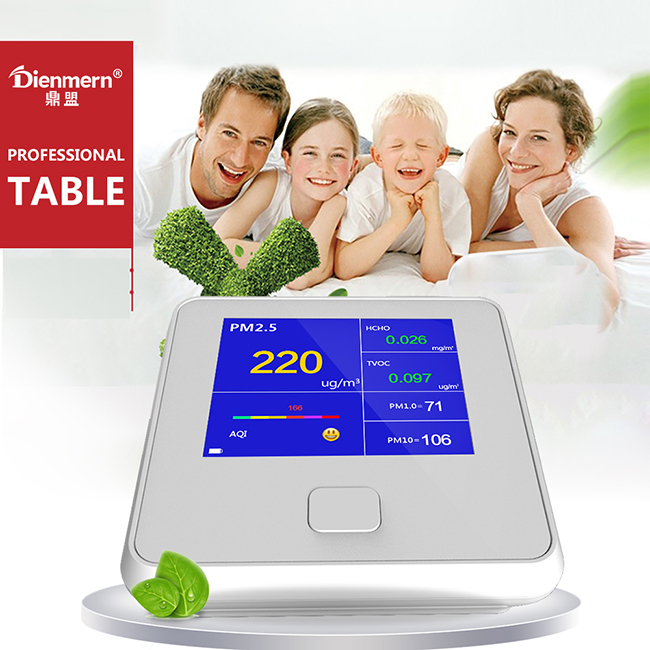 Air pollution is extremely harmful to the body, this product can detect the air pollution index. 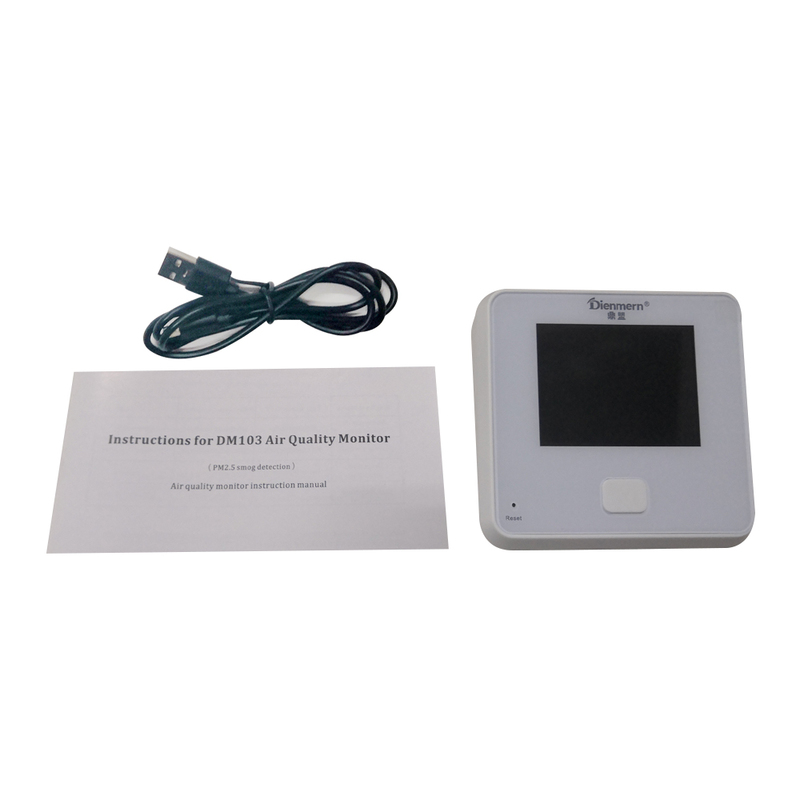 This item uses laser dust sensor with fast response, high accuracy and good stability. Multi-layer filter anti-interference, anti-false alarm, to prevent other gas interference, PM2.5 measurement accuracy greatly improved. 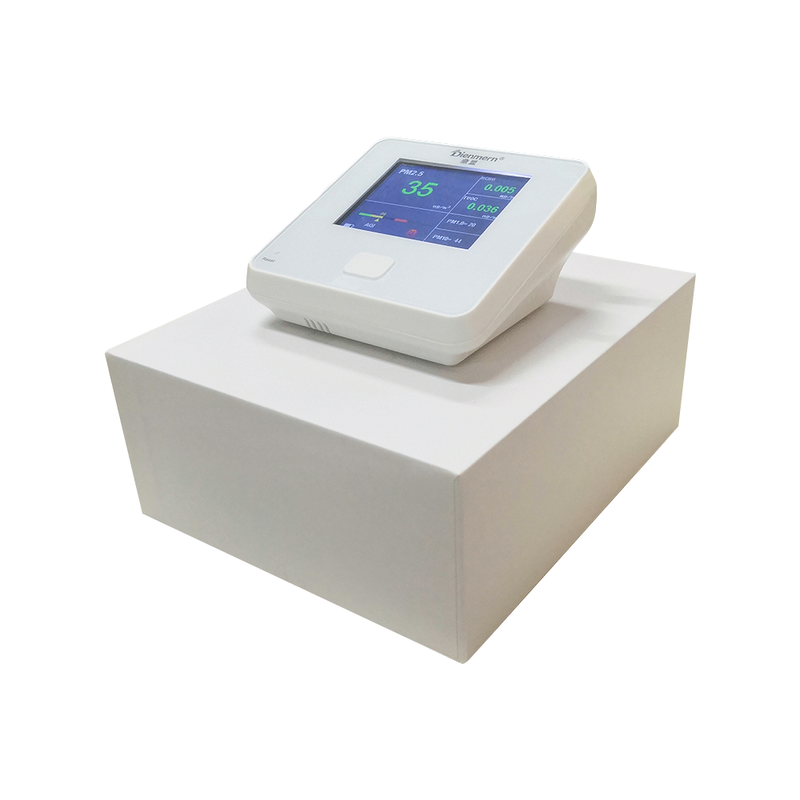 The appearance of this product is high-end sophisticated, simple . 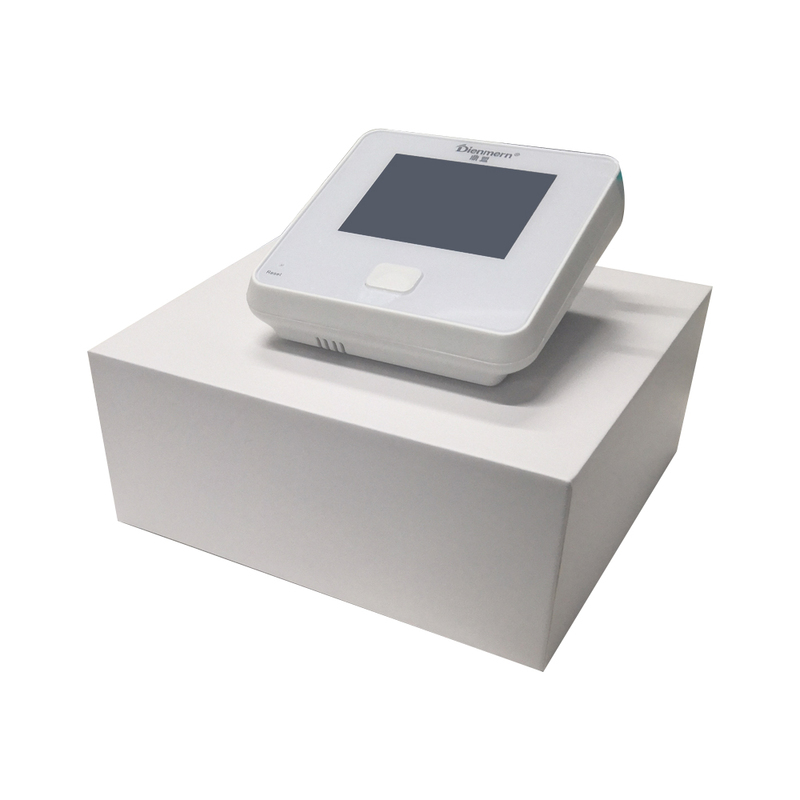 operation, built-in power supply (with USB charging cable), six-in-one multi-function precision detection, high precision. 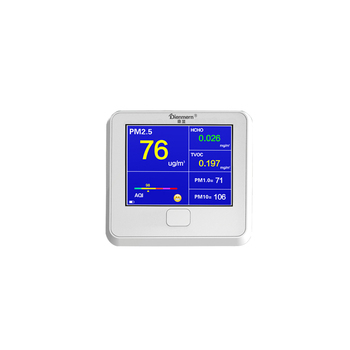 Support 2.8 "TFT LCD screen display, 320 * 240 pixels. 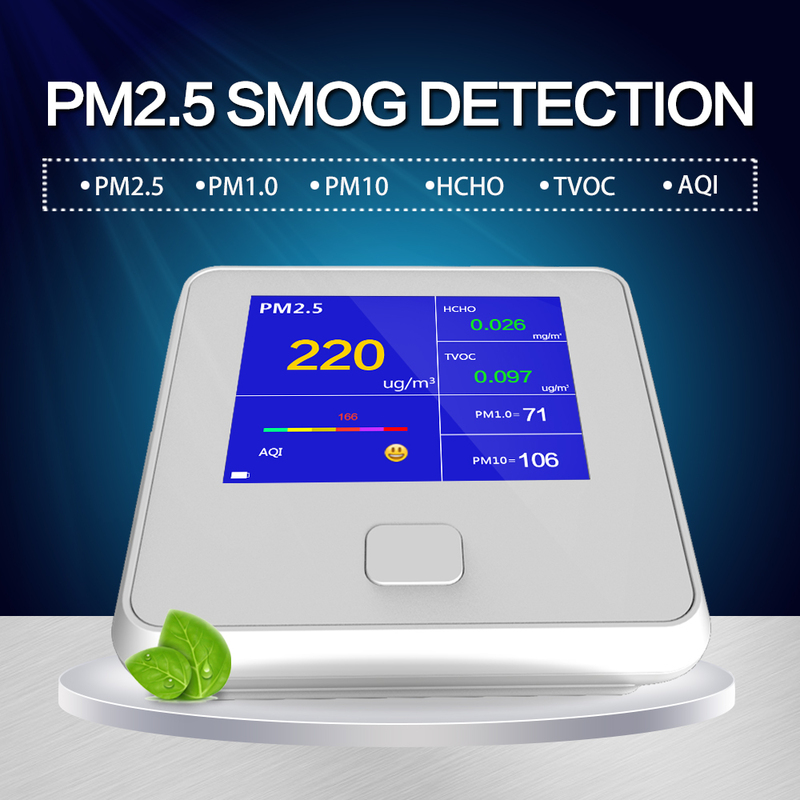 Using advanced laser PM2.5 detection probe, support PM2.5, PM1.0 and PM10 detection. Using independent HCHO and TVOC air detection probe. Support different interface display, more humane. HCHO testing value Exceeded alarm and Alert alarm. Support built-in high capacity lithium battery.Support long life working.